UFV Library has Absolute Style! Spring is here and it means it is time for UFV's Fashion Design program's annual graduation fashion show on April 29th. Tickets are available to purchase online or in person in the UFV Library (Abbotsford) or at the Bookstore. 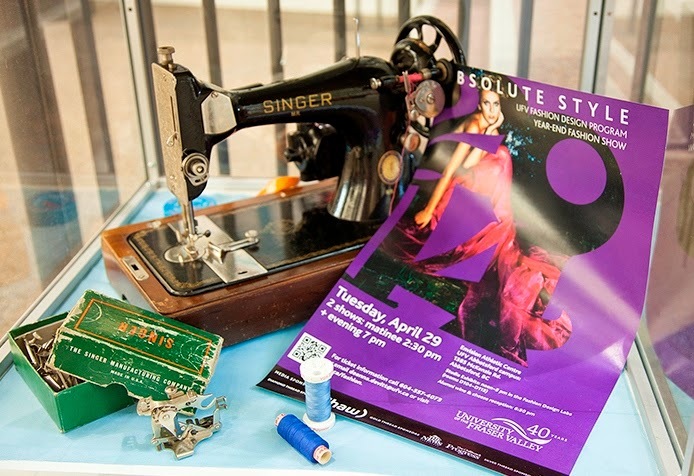 UFV library (Abbotsford) is featuring the Fashion Design collection for this month's display. 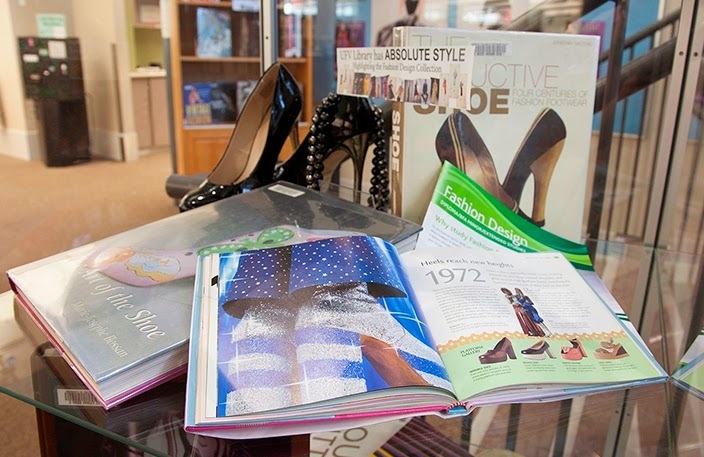 Come in and see the amazing collection of books, DVDs and journals about fashion design, textiles, designers and the fashion industry. On display as well are two garments designed and created by two recent UFV Fashion Design graduates. Ning Hao created this garment, pictured right, which has flare and drama. Ning was one of 25 finalists from 485 submissions chosen to compete in Télio Canada’s Breakthrough Designers Competition in February 2013 during Montreal Fashion Week. Click here for more information. Kim Kokaszka designed and created this garment, pictured left, in the Shibori style and technique. 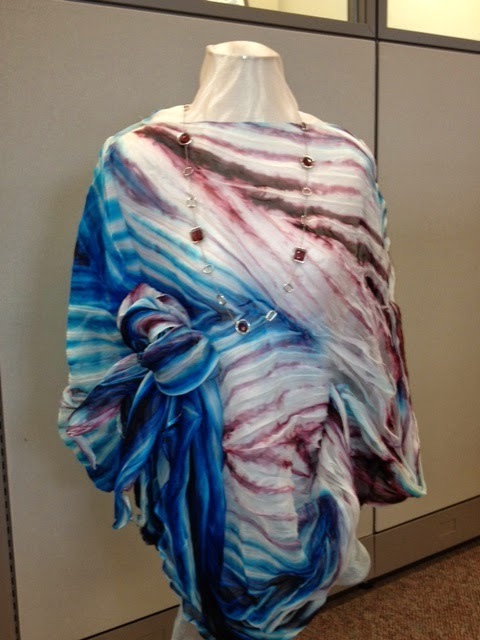 Kokaszka was the only Canadian student selected from over one hundred entries for the International Shibori Symposium at Hong Kong Polytechnic University in 2011. This garment's delicate yet dynamic silhouette illustrates the Shibori style superbly. Click here for more information. The visual allure of fashion design collection is on display highlighting internationally acclaimed designers and their work, as well as books on textiles, pattern drafting and millinery. 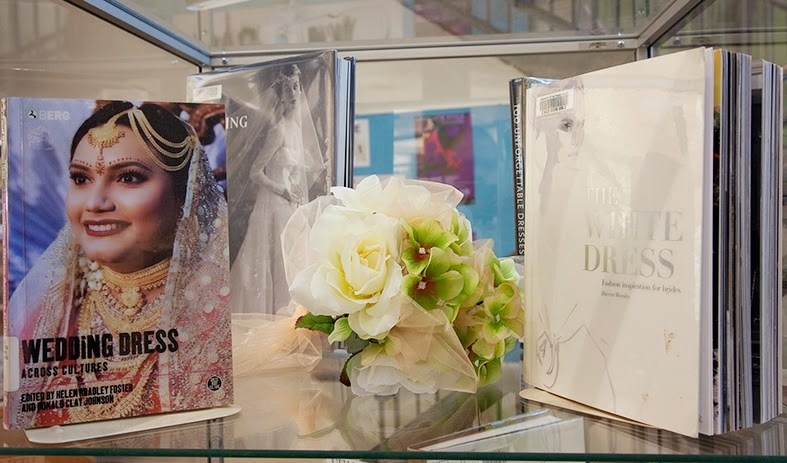 Also on display are books on bridal fashion and shoe design. These books look at their aesthetic and cultural significance. For more information about the amazing fashion collection, please click here to go to our Fashion Design libguide. This guide covers all types of resources including the Berg Fashion Library, the library's catalogue and a variety of research databases which support the Fashion Design program and ancillary programs such as Theatre and History. For complete details about the Fashion Design program, please click here to go to the Program's homepage. This display will be available until the beginning of May. Do you need to find information about chemical substances and structures? Named reactions? UFV now has access to the best resource available, The Merck Index Online. The Merck Index Online is a standard Chemistry reference source, providing authoritative information on chemicals, drugs and biologicals. It includes over 11,500 substance monographs and a searchable collection of over 500 named reactions. The powerful ChemSpider component will retrieve even more information, including a bibliography of related literature, spectra, chemical vendors, patents and more. For more information, contact Patti Wilson or Hongfei Li. OutLook OnLine, the service that students use to discover items held at BC public or post-secondary libraries, will be offline on Sunday, March 23rd from 9 AM - 6 PM. While OutLook is offline, the alternative will be to search library catalogues individually. It will be back up and running as normal on Monday March 24th. Due to server issues, the library catalogue was unavailable on Sunday March 16th. Service has now been restored. Just to let you know that the library catalogue is not working. This means you will be unable to place holds, or renew your books. Tickets for the Absolute Style Fashion Show are available for cash only purchase in the Abbotsford campus library. For complete details about show dates and times, please click here. 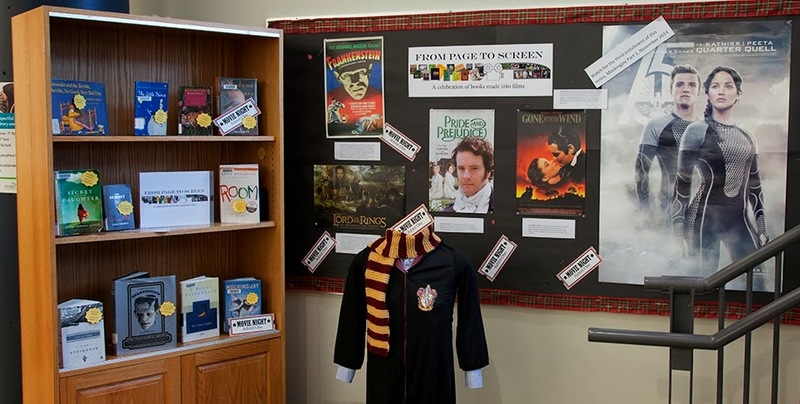 New Display in the Abbotsford Library - "From Page to Screen - a Celebration of Books Made into Films". Hooray for authors and hooray for Hollywood! Many of the library staff are avid readers and film-goers, so putting together this display was a treat for all involved. 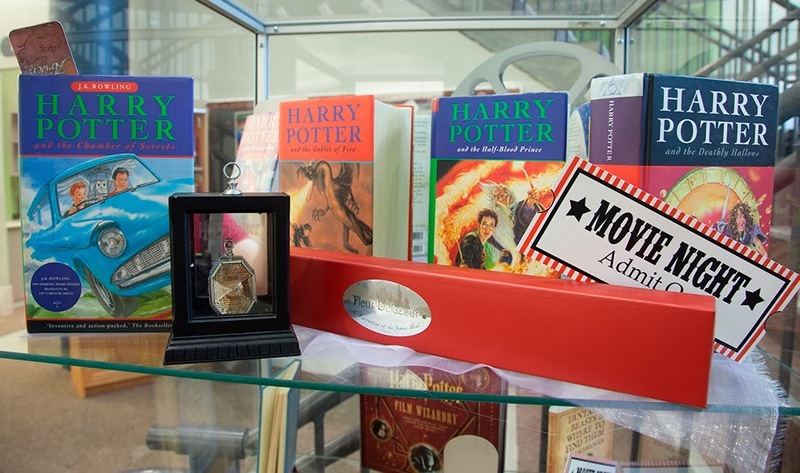 collection of books, DVDs and film memorabilia, provided by our own Harry Potter and Hunger Games enthusiasts. Find out some interesting facts about some of the film adaptations. 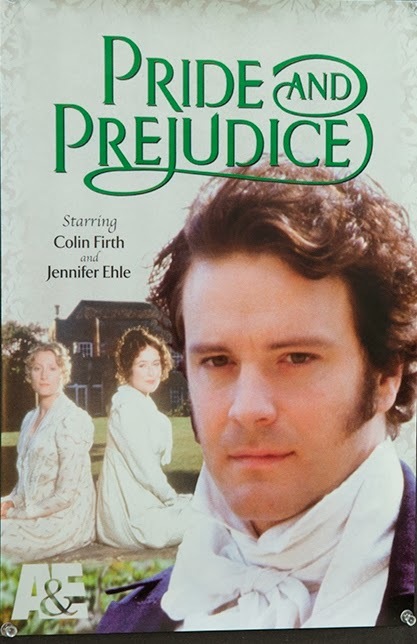 For example, the book Pride and Prejudice was originally published in 1813 and it has been adapted to film and television movies in 1940, 1980, 1995, and 2005 and have starred Colin Firth, Jennifer Ehle, Keira Knightley, Greer Garson and Laurence Olivier. The book Frankenstein was published anonymously in 1818; a second edition in 1823 shows Mary Shelley’s name. 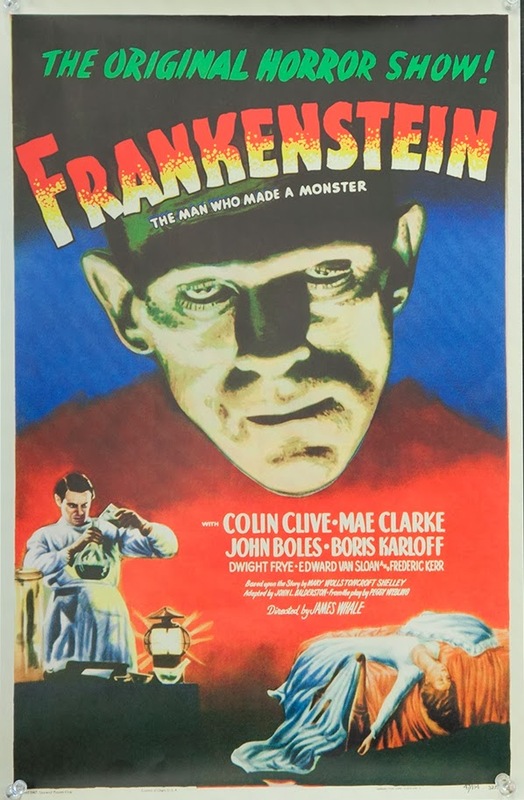 This book has many film adaptions and remakes but the original film was created in 1931 with Boris Karloff in the starring role as Frankenstein’s monster. Two sequels were created from this movie, “The Bride of Frankenstein” and “Son of Frankenstein.” This year, (2014) a modem day adaption of Frankenstein, “I, Frankenstein” was created, and it appears that in the near future another remake of Frankenstein will be filmed. 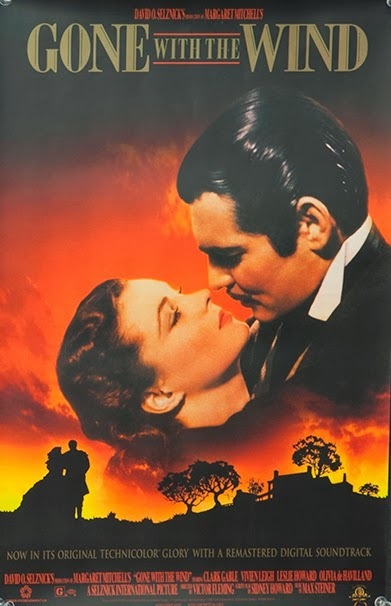 Gone with the Wind was first published in 1936 and the film was released to theatres in 1939. The film starred Vivien Leigh, Ann Rutherford, Butterfly McQueen, Clark Gable, and George Reeves. This film is so popular it was re-released in 1969, 1985, 1989 and 1994 and is the highest earning film of all time. The wand case of Fleur Delacour and a horcrux locket complement the Harry Potter series of books. Fleur's wand graces the Harry Potter ephemera collection on loan from Korina Scott's niece Paige. The Hunger Games trilogy was such a popular young adult series that it jumped to the screen in only four years. The books were published between 2008 and 2010 and the film broke the story into four parts, with release to film happening between 2012 and 2015. 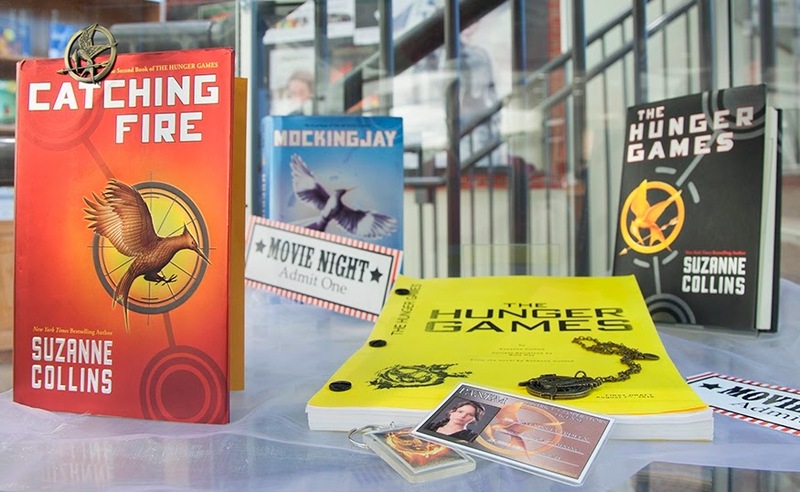 Mary-Anne MacDougall's daughter Miranda kindly loaned her collection of Hunger Games memorabilia for the display including Mocking jay jewelry and a Hunger Games film script. 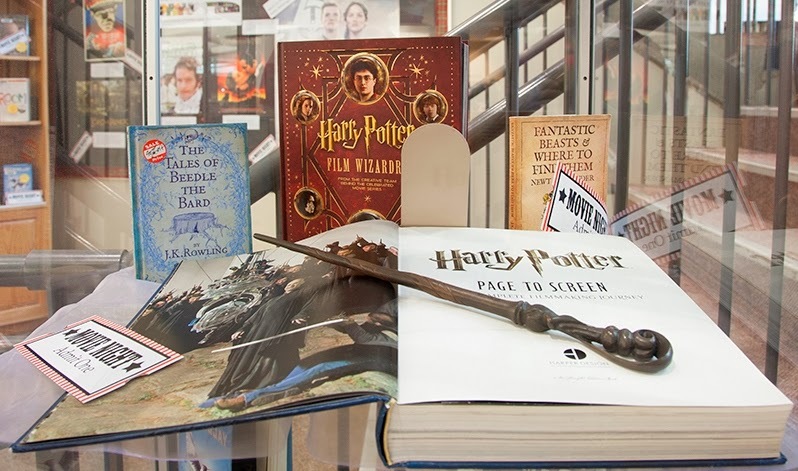 Check out the display in the Abbotsford campus library and find the book adapted into one of your favourite films! Please see our From Page to Screen libguide for additional resources such as books, films and reference resources. I would like to thank Korina Scott and Susan Gibbs for their tireless efforts in creating this display as well as Daniel Block in ETS for his photographs of the display. The display will be available until the first week of April. If you can only see the first page of an Ebsco eBook open in Adobe Reader, or a new PDF is opened each time you turn on Ebsco eBook page, this is probably due to a setting in Adobe Reader (or your PDF reader). A simple fix is available from EbscoSupport. If your computer is using Firefox 7.0.1 the instructions are slightly different. For questions, contact Patti Wilson, at loc. 4277.